Interact Marketing’s brand new in-house studio will produce podcasts and video webinars where local entrepreneurs will be interviewed and actionable marketing strategies will be discussed. 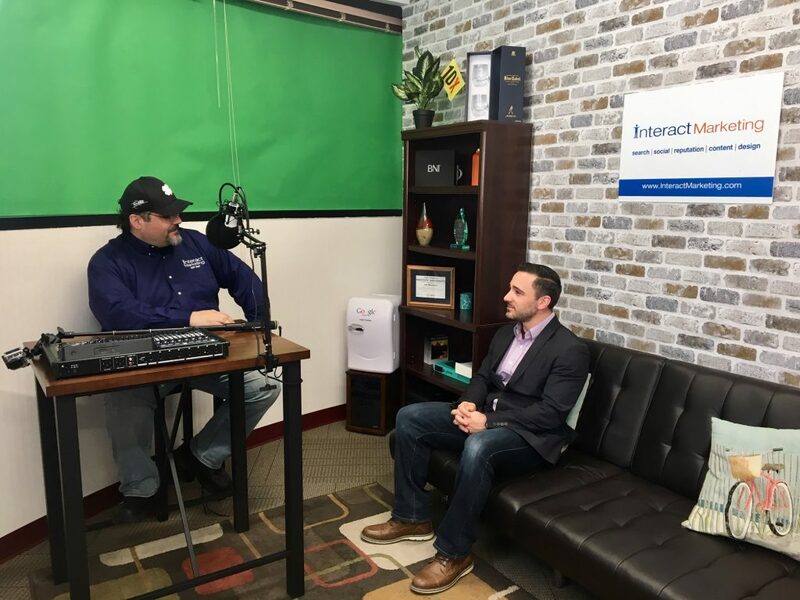 NEW WINDSOR, N.Y. (PRWEB) MARCH 05, 2019 – Leading digital marketing agency in New York, Interact Marketing, launched a podcast and video webinar series, entitled “Interact With Us”, on March 4, 2019. The studio where livecasts, podcasts, and more will be recorded is located at agency headquarters in New Windsor, New York. The podcasts and webinars will present valuable information to entrepreneurs on how to leverage digital marketing strategies to thrive in business. CEOs and influential thought leaders will be interviewed to go in depth on both successful growth strategies and what did not work for them through the years. Interact Marketing CEO Joe Beccalori offers almost twenty-five years in digital marketing experience, as well as thirty years of web technology and security expertise. Since founding the company that would eventually become Interact Marketing in 2007, Beccalori and his team have served over 200 clients in search engine optimization, web development & design, social media marketing and online reputation management. Interact Marketing has local business leaders lined up for interviews, as well as cutting edge topics planned including geofencing, web security, what’s new in search engine optimization, and Facebook advertising. You can watch “Interact With Us” on Interact Marketing’s Facebook Page.